Many people are looking into cutting cable partly to save money a mostly because viewing habits have changed. Many people no longer watch regular TV programming and instead get most of their viewing entertainment in various forms like Youtube, Netflix and many other options provided by the internet. So do you need a media streaming device if you have a smart TV? What does a smart tv do that a regular tv doesn't? In this post, we will answer why do you need a streaming device. The answer depends on if you have a newer TV and what kind of programming demands you have. A separate streaming media player is always faster, easier to navigate and update apps compared to a smart tv. It has fewer bugs and gives you more TV selection options. 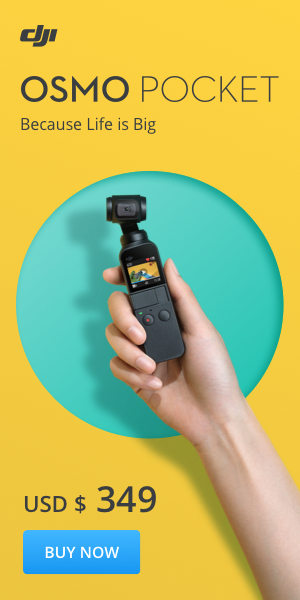 The price is relatively inexpensive and can be purchased for around fifty for a basic stick and around a hundred for a full set-top box streaming media player. If you are a Netflix and Youtube kind of person you probably can get away without a separate streaming device. To further answer this question you must first ask yourself what a smart TV is and then go ahead and find out what a streaming media player does. For starters, smart TVs, called initially “Connected TVs”, are sets of TVs that can be connected to the internet to access streaming media services. They can also run entertainment apps such as internet music stations, on-demand video rental services, games and Web browsers. Basically, a smart TV is a technological convergence between flat-screen television, computers and set-top boxes. In addition to the functions of traditional television sets and set-top boxes, Smart TVs offer internet TV, over-the-top content (OTT), online interactive media, home networking access and on-demand streaming media. In this post we are going to answer the following question to see if you need a streaming media device if you have a smart TV. 1. What does a smart TV do? 2. Do you need a media streaming device if you have a smart TV? 3. What is a streaming media player? 4. Do I need a Streaming Media Device for every TV in the house? 5. Is a Streaming media device good for gaming? 1. What does a smart tv do that a regular tv doesn't? You should however not confuse a Smart TV with an Internet TV, Web TV, or IPTV. Internet TV means receiving TV content over the internet instead of through the traditional systems such as cable, terrestrial or satellite. Web television refers to programs created by companies for broadcast over the internet. Smart TVs often come preloaded with an operating system, or it can be available through the set-top box. A few apps come pre-installed on a smart TV, but just like your smartphone, you can install more apps on demand from an app store. To connect to the internet, a Smart TV either uses a built-in Wi-Fi or a direct Ethernet connection. Most sets nowadays support Wi-Fi, but you may have to check this before purchasing. Smart TVs or Streaming Media Devices need good Wi-Fi coverage to insure good quality streaming. Most built-in TV Wi-Fi receivers are not as sensitive as those in set-top boxes. A similar technology that enables smart TVs is also installed in external devices such as digital media players, set-top boxes and game consoles. Just like the smart TV, these media streaming devices allow viewers to search and play videos, TV shows, movies, photos and other content from the cable TV channel, satellite TV channel, Web, or on a local storage drive. So, do you need a streaming media player if you have a smart TV? Or Do you need a roku stick with a smart tv? What is the best streaming media player for TV? Well, perhaps let me take you through what a streaming media player does before we wrap this question up. A streaming media player is a portable device that connects your television to the internet to allow you to stream music and video from online services. They are really very basic devices with a few connections such as audio, video and Ethernet networking jacks. Most media streaming devices come with built-in Wi-Fi for wireless connections and a dedicated remote control. Streaming Media players can stream files from a network-attached storage, personal computer or another networked media to play back the media on your television or video projector. Most media streaming devices have smart TV features that allowing you to stream movies and TV shows from the internet and from sites such as NetFlix, Hulu, Vimeo, YouTube, Amazon Prime, and Spotify. Using a streaming media player, you can view photos stored on your flash memory cards, local networks or USB-based external storage drives. As earlier mentioned, most media streaming devices will allow you to play videos and music in the above-mentioned mediums. See what streaming media devices are available. 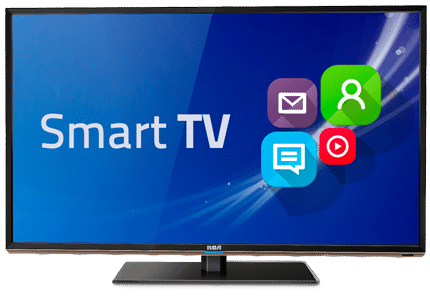 As earlier mentioned, a Smart TV has pretty much all of the functionalities of a media streaming device; so ideally, you do not need an extra media streaming device when you have a smart TV. However, as with many relatively new technological gadgets, nothing is ever ideal. There have been numerous reports of some Smart TVs being very slow to connect to the internet as well as experiencing bugs every now and then. This is often both a software and hardware issue. On the hardware side, most smart TVs struggle to keep up with the demands of streaming services. It is common to experience a lot of lag when loading and surfing through streaming apps. Streaming Media players such as those manufactured by Apple, Amazon, Roku and Google can speed through this process. When it comes to software, I notice that most streaming services tend to dedicate most of their expertise and resources to developing app versions that are tailored for the Big Four media players Apple, Amazon Fire TV, Roku and Google. If they bother to make an app for the native smart TV platform, it’s never as polished and users keep running into bugs. The short answer is yes. It's basically like your digital cable box you have now with each tv in your home, but without the monthly fees. Purchase a good media streaming device for your main TV. You can then choose less expensive portable devices for TVs in your home that are only used occasionally. A streaming media stick like the Roku or Amazon Fire Stick is a great option for a second media device as they are very inexpensive, portable and can be set up in minutes. You can also take it and use it on vacation if WiFi is available. Note: For good picture quality, a good router is a must especially if you have multiple users at once. See our Your Ultimate Router Placement Tip Guide to get the most out of your router or see if you need a new one. 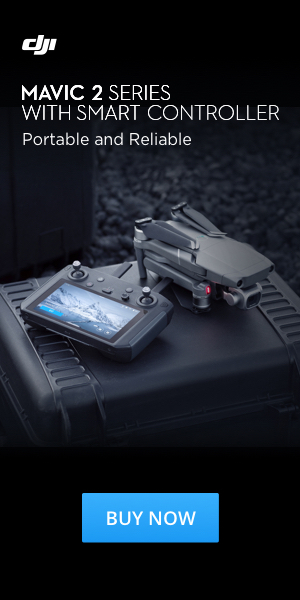 There are game controllers offered with some streaming media devices but If you are a serious gamer, you will run into occasional disappointments such as a freezing screen, lag, and slowness in loading various gaming aspects. In which case, instead of getting streaming media player, go for the XBox or the Playstation. 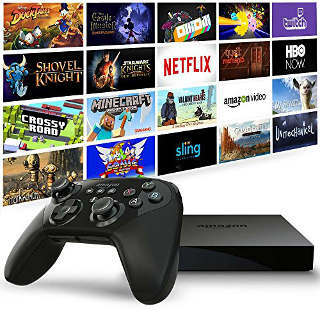 This will give you the real gaming experience and still offer you all the video and TV streaming capabilities that come with other media players. For Avid gamers; you get endless gaming possibilities and with an added game controller the streaming media player is starting to catch up to the Xbox and PlayStation in the gaming experience and with the added feature of seamless movie and TV watching. To help you decide on the vast selection of media players. Stream music, movies, and photos over a wireless network or wired Ethernet. Play, store, and catalog music, videos and digital photos from a flash drive, hard disk, and memory card. Browse the internet and access just about any site as you would on your computer/smartphone. Connect a webcam and microphone for a video conference. Newer streaming media devices are now offering Amazon ﻿﻿﻿﻿Alexa and Google ﻿Assistant a voice activated controller, that can control a number of things by simple voice commands. This technology can easily be configured into a smart home. Nvidia Shield a powerful streaming media player offer s Smart Things that can transform your home into a smart hub. 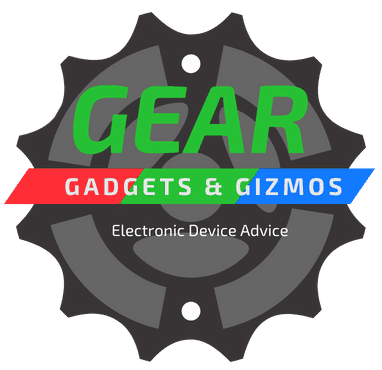 Learn about What are smart devices all about? 6. Do I need a firestick with a smart tv? Many people are looking into Amazon Fire TV and a common question is do I need a Fir​​e Stick with a smart tv? The answer depends on if you have a newer TV and what kind of programming demands you have. If you are a Netflix and Youtube kind of person you probably can get away without a separate streaming device. A separate streaming media player is always faster, easier to navigate and update apps. 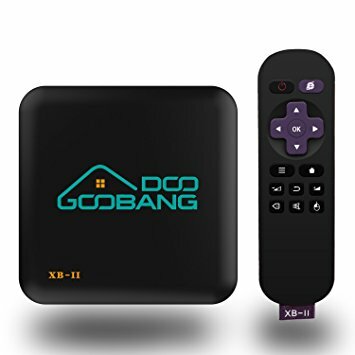 It has less bugs and gives you more TV selection options The price is relatively inexpensive and can be purchased for around $50 for a basic stick up to over a hundred for a full set-top box streaming media player. 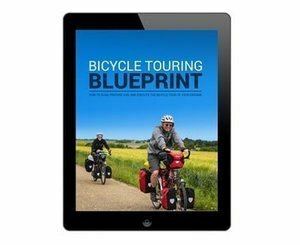 Check Amazon for latest pricing. Be sure when purchasing the Amazon Fire TV as a gift to check “This is a gift” option when you add the Fire TV Stick to your cart. If you purchase with your Amazon Prime account, it will be registered to your account. This will ensure that Fire Stick does not come pre-registered to your account and gift recipient can register to their own Amazon account.